Probably American, c.1960. 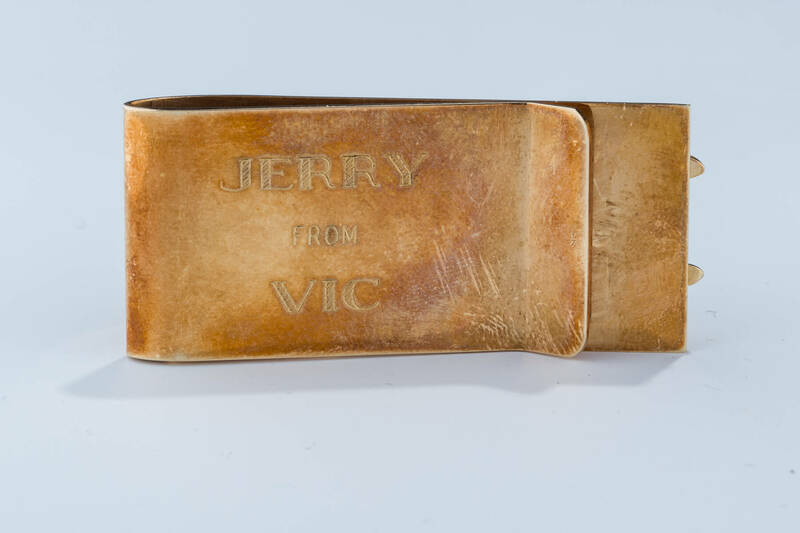 Engraved on verso “Jerry from Vic”. 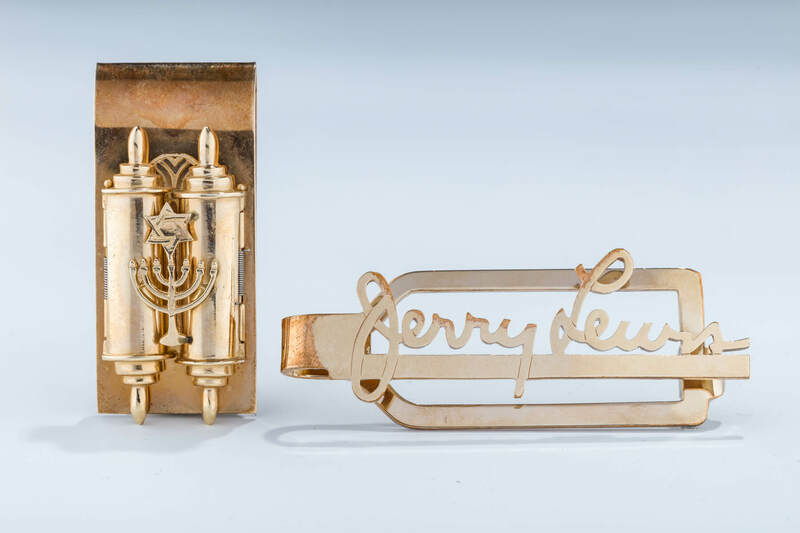 With a gold Torah, a Jewish star and Menorah on the front. (43.1gm) This lot comes with a gold filled money clip spelling out the comedian’s name. Sold in his estate auction. Documents included.